Fintech innovation is changing finance around the world. 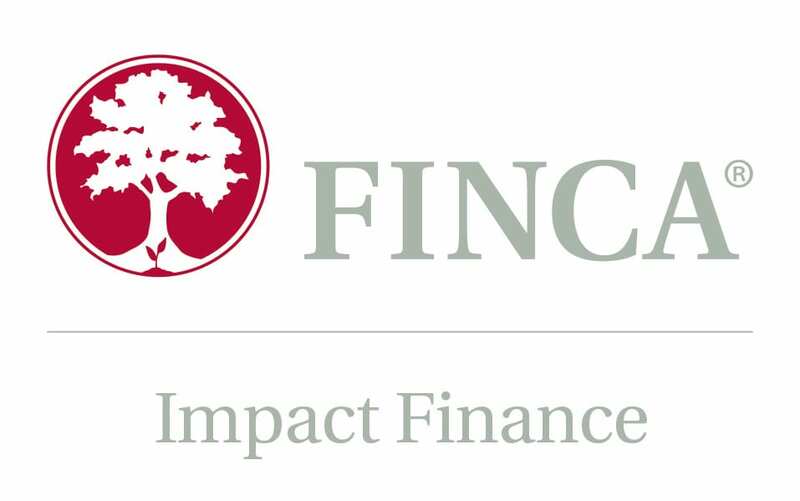 That is impacting how FINCA Impact Finance (FIF) develops and trains its workforce. To stay on the industry’s cutting edge, we offer professional development opportunities at all career stages and leverage digital learning to reach more than 10,000 employees in 20 countries. Despite increased financial access overall, the gender gap hasn’t changed much since 2014. 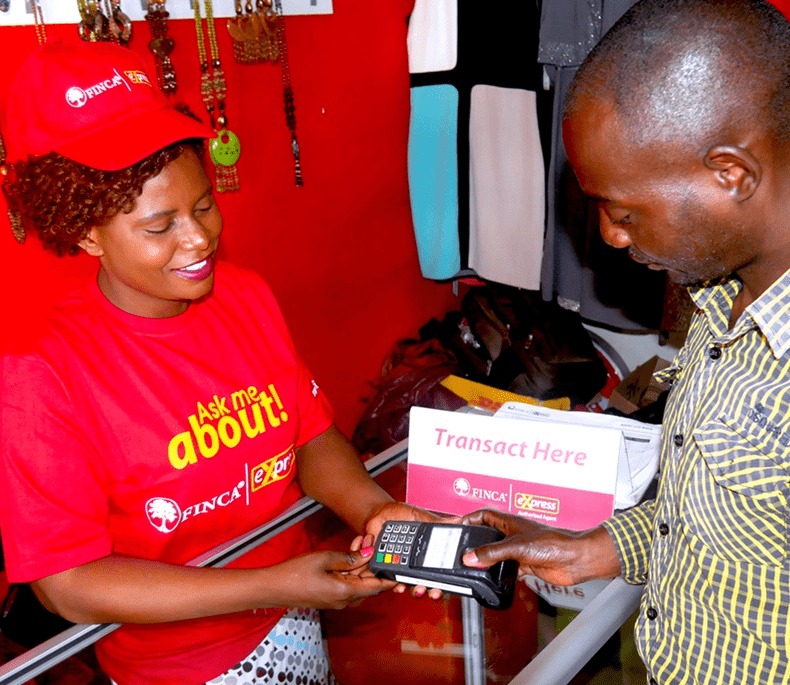 And while fintech has potential to empower women, fintech and financial inclusion for women don’t necessarily go hand-in-hand. 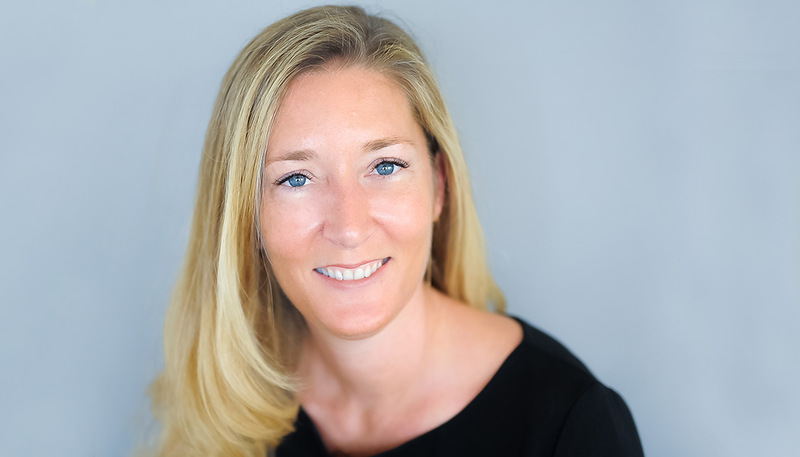 In a recent op-ed, Caren Robb discusses ways that financial institutions can promote gender-equitable financial inclusion and close the gender gap. 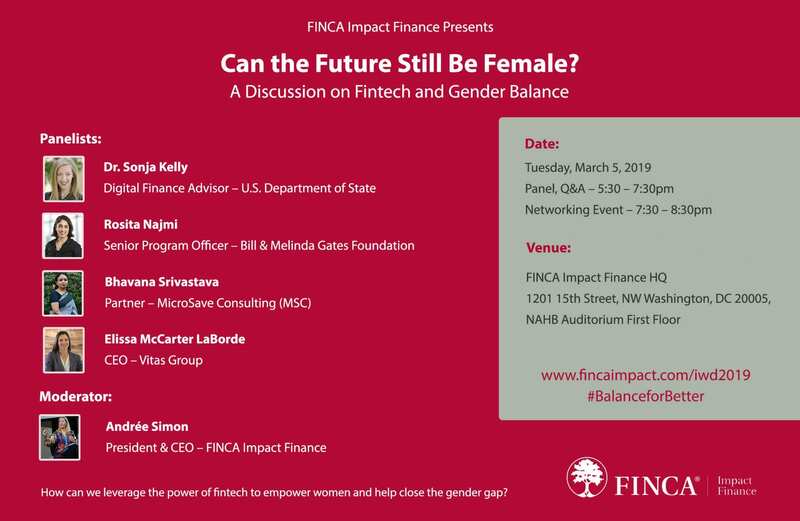 Discussion of how fintech and financial inclusion can close the gender gap took center stage at FINCA Impact Finance’s 2019 International Women’s Day event, Can the Future Still Be Female? A Discussion on Fintech and Gender Balance. 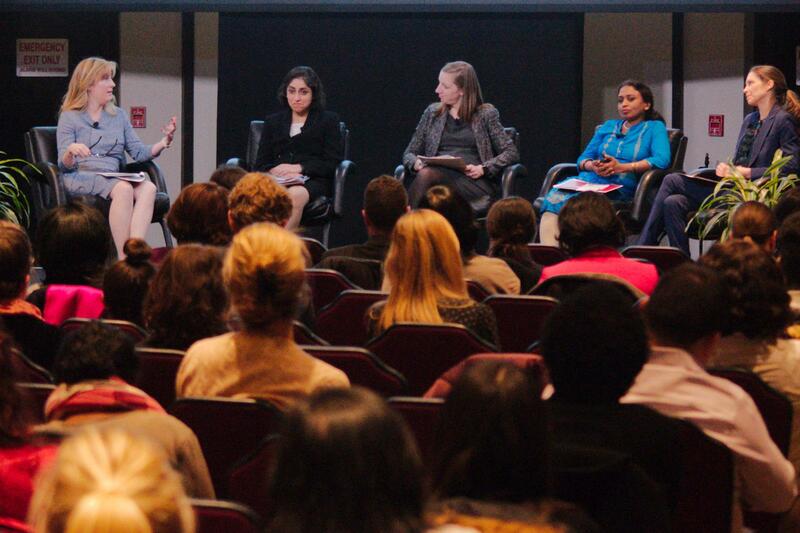 Panelists included Rosita Najmi of the Bill & Melinda Gates Foundation, Dr. Sonja Kelly of the US State Department, Bhavana Srivastava of MicroSave Consulting and Elissa McCarter Laborde of the Vitas Group. 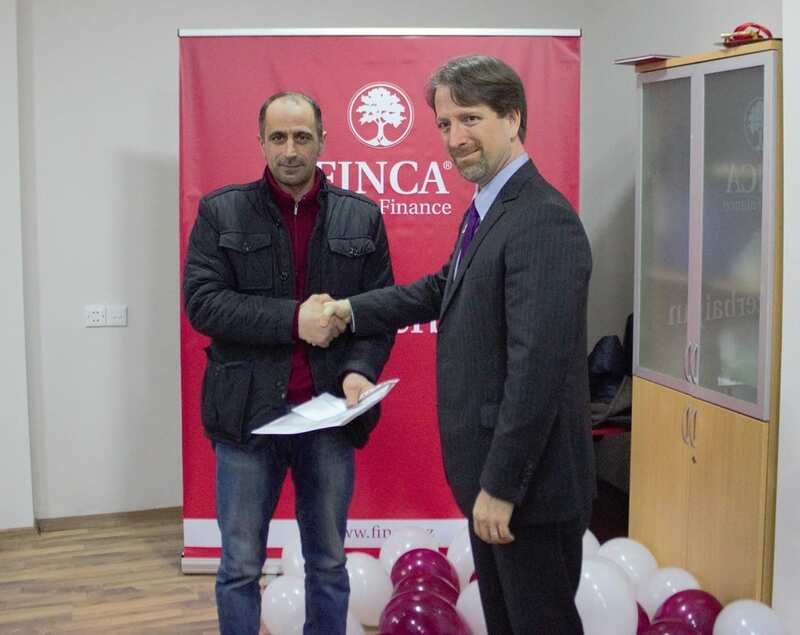 An external financial crisis required FINCA Azerbaijan to transform its business model. 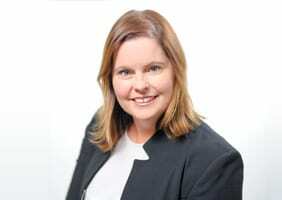 Now a scaled-down, more efficient operation, it will expand financial inclusion through a combination of branches and digital banking channels. 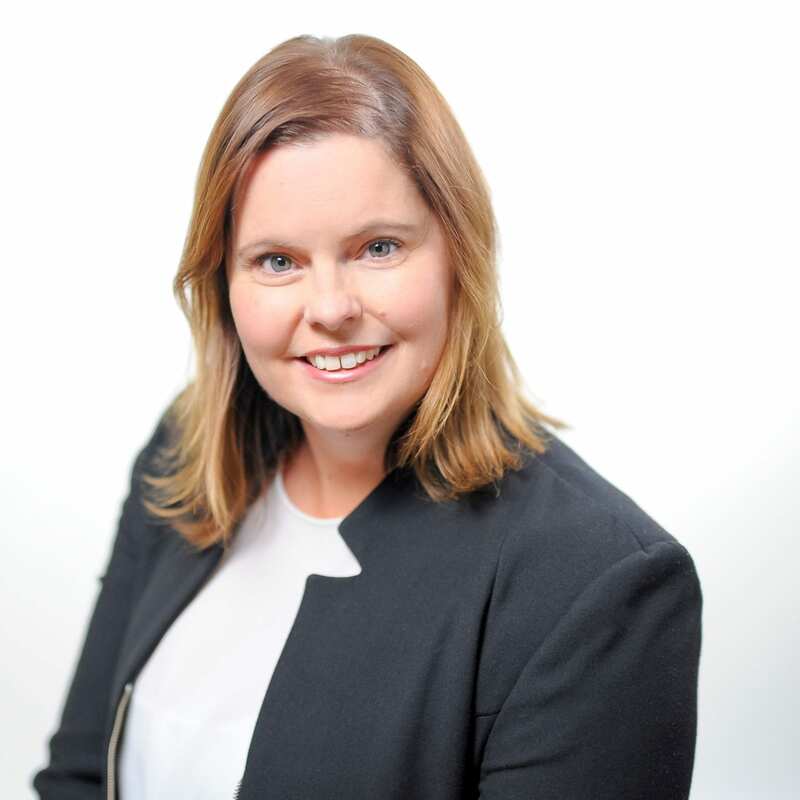 FINCA Impact Finance’s 2019 International Women’s Day panel event will focus on financial inclusion, fintech and closing the gender gap. Speakers include Andrée Simon, Rosita Najmi, Dr. Sonja Kelly, Bhavana Srivastava and Elissa McCarter Laborde. Simon highlights FIF’s recent initiative by which FINCA Guatemala is partnering with Uber Guatemala to offer a cutting-edge loan product to local Uber drivers. FINCA Guatemala’s loan application form is directly integrated into the Uber online dashboard. 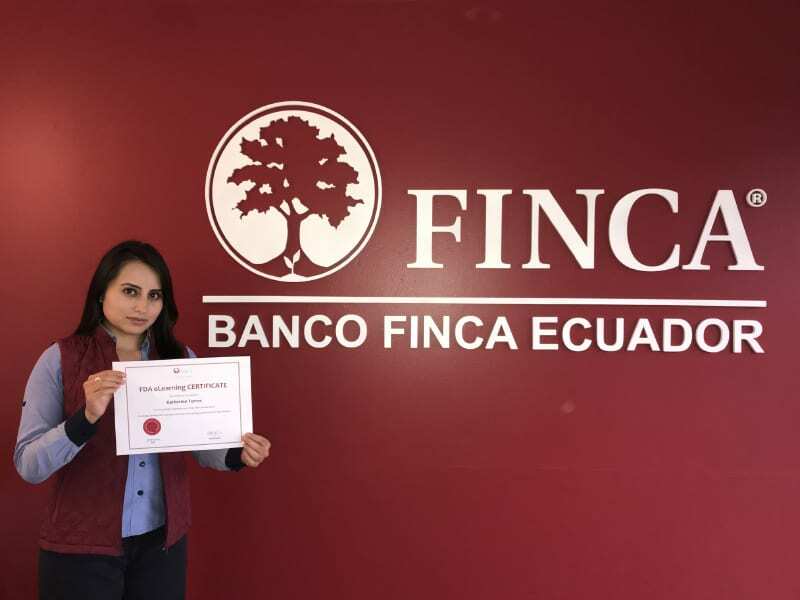 This allows drivers to apply for a loan using only their driving history, and allows FINCA Guatemala to process loan applications in just hours. 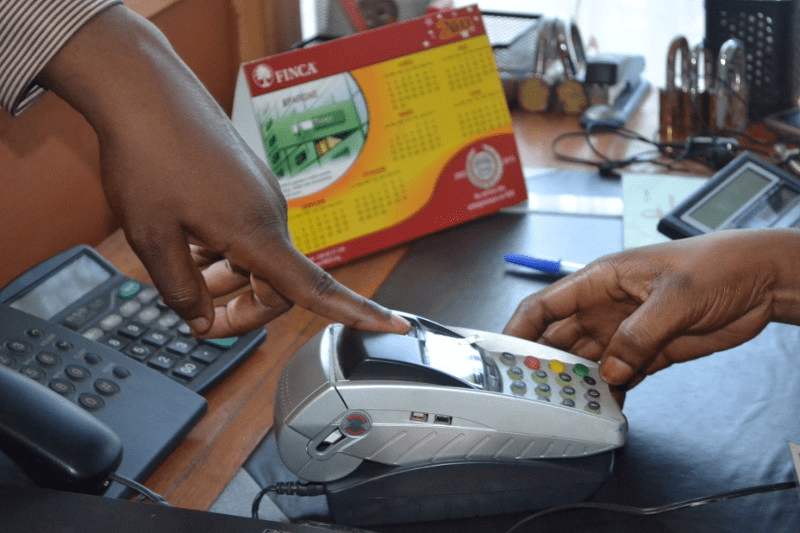 GBP 800,000 in funding will support upgrading FINCA Zambia’s agent banking network, reaching underserved population segments through financial technology innovation. The project will expand the agent network while evolving its business model to better meet the needs of customers. 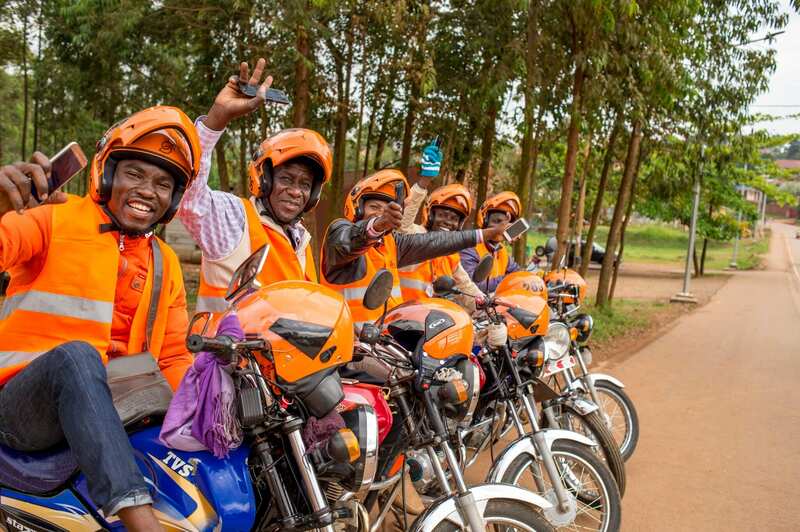 FINCA Uganda establishes a new fintech innovation partnership with SafeBoda to expand financial inclusion in Uganda. Motorcycle taxi riders will be offered access to mobile savings and credit products. FINCA DRC announced a USD 8.5 million long-term subordinated loan facility with KfW, the German state-owned development bank. The facility will enable FINCA to advance its digital transformation and broaden its offering of innovative financial products and services.